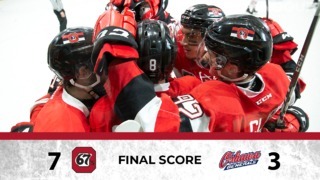 OTTAWA – The Ottawa 67’s remain undefeated in regulation through 10-straight games despite dropping a 2-1 shootout decision to the Mississauga Steelheads on Friday night. 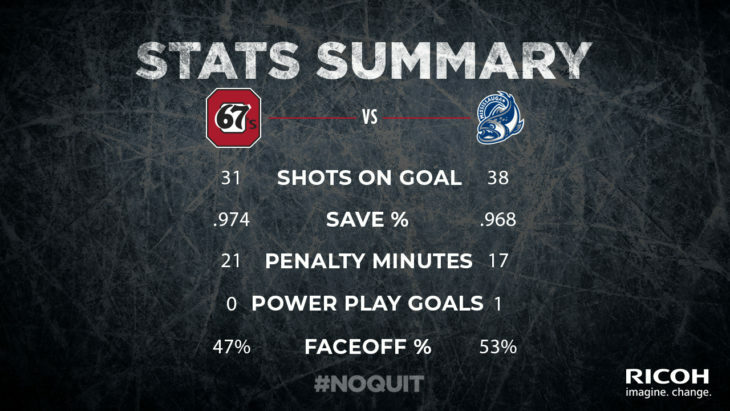 It was the second game in as many nights that went all the way to a shootout for Ottawa, with Lucas Chiodo scoring for the 67’s in regulation. Chiodo scored the game’s opening goal in the dying minutes of the first period with his 24th of the season, assisted by Merrick Rippon and Kyle Maksimovich, which extended both Chiodo and Makismovich’s current point-scoring streaks. Liam Ham tied the game early in third, as the game went all the way to three on three overtime. The additional five minutes were not enough to determine a winner, so the shootout was necessary. Cole Carter scored the only goal in the shootout, while Jacob Ingham pulled out a miraculous stop on Marco Rossi, on top of racking up 38 saves in the Steelheads win. 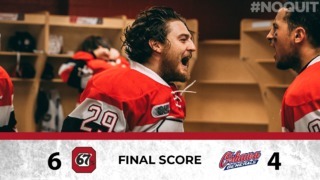 Cedrick Andree made 30 stops for the 67’s, who still pick up a point in the second game of this current road trip, giving his team three points out of a possible four so far. 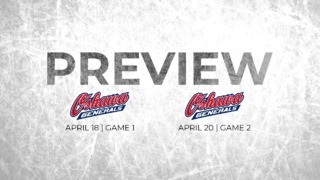 The Barber Poles close out their three-in-three road trip tomorrow, as they visit the Hamilton Bulldogs tomorrow afternoon, with the puck dropping at 4:00 PM in Hamilton.